This post was sponsored by Honey Bunches of Oats Breakfast Biscuits, but all opinions are 100% my own. While I am still trying to get used to our summer morning routine… I do love the extra time I get with my sweet boy. During the school year we try to be out the door by 7:30, but now we can leave closer to 9. So we have been stepping up our normally boring breakfasts with some fun options. All you have to do is layer the ingredients. Hudson likes to make his own the night before and put it in the freezer to eat in the morning. (you can also make and eat it right away like a parfait) These are SO easy to make, and your kids can customize them with their favorite ingredients. My kids feel like they are getting a treat for breakfast, but I know they are getting a healthy start with a good mix of protein and whole grains. The Honey Bunches of Oats Breakfast Biscuits add a nice crunch to the popsicle and my kids call them breakfast cookies! Little do they know, these ‘cookies’ have over 55% of their daily recommendation of whole grains. I know it will keep them full with all the energy they need for summer camp fun! What are your favorite ways to make breakfast fun for the kids? Such a great idea! I'll have to give the biscuits a try-I love the idea of making Popsicles! They are really good, and there are so many ways to customize it. 🙂 Have a wonderful week! I got them at Michael's craft store! I had a coupon so they were like 2 bucks! We use them all the time too! 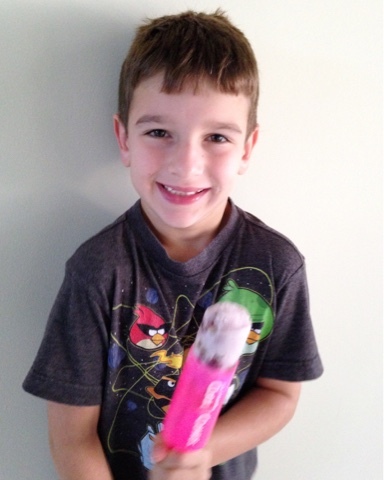 My younger one loves frozen go-gurts….so I think this will be right up his alley!! YUMMY!! LOVE this idea!!! What a great idea! 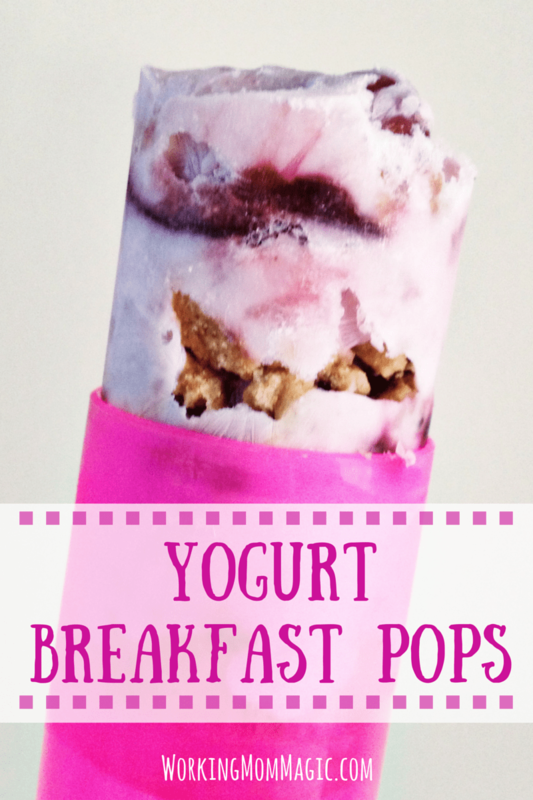 Love that you can make the yogurt pops and take them on the go. Where did you find those push-pops? They work for ice cream too.. if you want a dessert! I got them at Michael's craft store.. so cheap too! This is such a great idea. We're always running late in the morning, so I love the idea of making them the night before. Then we can grab and go. What a great idea. I bet the kids really like these breakfast popsicles. They will think it's a treat when it's actually a healthier version of a popsicle. These look sooooo good! Recently, we've been a little busier and so the kids have had McDonalds a couple of times (don't tell anyone). I have been freezing the yogurt tubes and giving them as freezies in the morning. These one-up mine big time!!! Can't wait to try! Thats how I kind of got the idea, since my kids love those frozen yogurt tubes too! Oh my goodness, these look absolutely delicious!! That is SUCH a neat idea. I mean what kid wouldn't love those!? You are so smart mama! It has become a daily breakfast request.. Hudson loves making his at night.. then popping it in the freezer for the morning! How fun are these!? I think I might have to make them for myself to eat for breakfast, because I find it really hard to get enough protein in the morning! Thanks! Love this idea! I'm sure these are a hit with the kiddos for summer! Oh gosh these look so yummy! Thanks for sharing. I'll have to keep them in mind when my little guy gets a little older! What a great breakfast idea. Popsicles in the morning make mornings so special! they kids really get a kick out of it! Thanks for stopping by and have a great week! What an awesome idea! I'm going to have to try those! they are really so good.. and healthy too! Ok, I would never have thought about doing that! I love that idea and I love those Popsicle holders! I'll have to get some! they are really cool! the best part is they dont leak.. so the kids dont make (as big) of a mess! Such a great idea!!! I love this! So helpful for picky eaters! Yes, esp since I struggle to get my kids a lot of protein during breakfast.. so this has been working really well! good going lady! this is a fabulous idea as i'm sure you've heard from everyone. 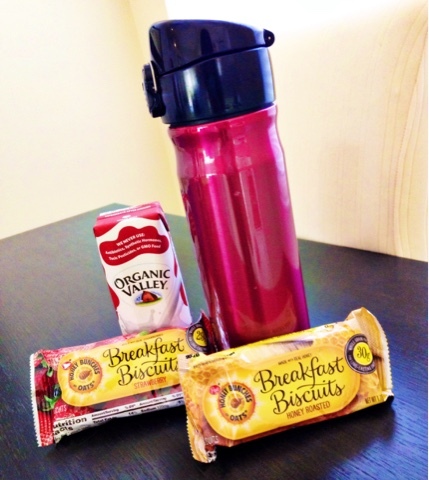 may have to try my own version (i'd sub regular granola for the bar – healthier!)!!! Omg… my girls will love this, I love this. Whenever I am having a lazy/ rushed morning I usually give my kids cereal. My youngest ends up spilling most of her milk on herself and the floor, so it really doesn’t make my mornings any easier. Sometimes they want to eat on the balcony but bring everything out there can be so much of a hassle so I usually wait until they are done. These pops will be so much easier for both. It’ll be nice and cool for warm summer mornings on the balcony, great way to start the day. Thank you so much for this idea! What a great idea! My girls will be all over this! Thanks for linking up to the Bloggers Brags Pinterest Party. I have pinned to the Bloggers Brags Broad. My kids would think this is an awesome way to eat their breakfast!